A story is told of a strange piece of art. This art piece consisted of a shotgun fixed to a chair which was set to fire sometime within the next hundred years. Strangely, people lined up to sit across from art piece and stare down the barrel of the loaded gun. Even though the gun could go off at any moment, people were gambling that it wouldn’t fire on them. While it is unclear if this specific event actually occurred or not, people most certainly gamble with their lives in very real and precarious situations, the most dangerous situation of all being sin. People foolishly look down the shotgun barrel of sin and hope they will walk away unscathed. The problem is that they either do not care about the consequences or have forgotten about those who sat in the same “chair” and ruined their lives, some even their eternities. 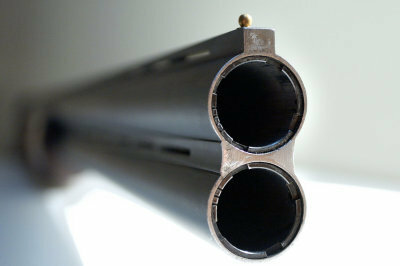 When we walk in sin (1 John 1:5-7), we are sitting in a chair and looking down sin’s smoking but loaded shotgun barrel. We are gambling with our lives and our eternal destinations. Scariest of all, life could end at any moment. James 4:14 says, “Yet you do not know what your life will be like tomorrow. You are just a vapor that appears for a little while and then vanishes away.” Sitting in this chair across from sin is the most perilous chance we could ever take. The reality is that we all struggle with sin, but maybe this illustration can help us to have a better perspective about the risk we take when we live in sin. No sin is worth the gamble of eternal punishment. We all want to go to heaven, so let’s stay out of the chair, away from sin, and walk with the Lord (1 John 1:7).